Brock Stull had a lot of options to play at the Power Five level for his senior year, but he chose to follow the path of a former teammate from Wisconsin-Milwaukee to Minnesota. Stull's commitment Tuesday to play for the Gophers could be the missing piece for helping them bounce back from a 15-17 season. Two seasons ago, former UW-Milwaukee guard Akeem Springs' impact in one season with the Gophers led to the first NCAA tournament under Richard Pitino. Stull, a 6-foot-4, 195-pound guard, averaged 13.4 points, 4.8 rebounds, 3.1 assists and shot 37.9 percent from three-point range for the Panthers as a junior last season. As a graduate transfer like Springs, Stull can play immediately but has only one year to make his presence felt. Stull said getting to play in the Big Ten was “very special” for him having grown up in Illinois. The Rockford, Ill. native made his decision while visiting the U campus Tuesday. Stull, who received interest from Xavier, Virginia, North Carolina State and Butler, gets to play again for his former Milwaukee coach Rob Jeter, one of Minnesota's new assistants. Springs, who played with Stull and for Jeter at Milwaukee, picked the Gophers for a similar reason having watched Big Ten games growing up in Waukegan, Ill. The 6-4 Springs averaged 9.5 points and shot 38.3 percent from three-point range in his one season at Minnesota. His toughness and leadership helped All-Big Ten guard Nate Mason on a team that went from eight to 24 wins in 2016-17. 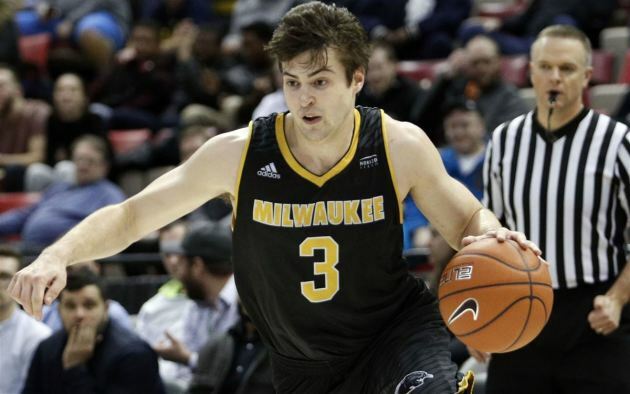 Stull, who had five games with at least 20 points and nailed 72 three-pointers (sixth in the Horizon League) last season, gives Pitino another perimeter scorer to help replace Mason's 16.7 points per game. Stull could fill a similar leadership role that Springs provided, but this time to help Isaiah Washington, Amir Coffey, Dupree McBrayer and Gabe Kalschuer. Coffey and McBrayer will be coming back from injuries. "I think having a guy who has been through it could absolutely help," Springs said. "Somebody to take the pressure off Isaiah. This will be the first year without Nate Mason. Especially during the summer, it’s going to be tough not having Nate Mason there. But (a grad transfer) takes pressure off some of the young guys, because you don’t have to develop right now. You can take your time and develop." The Gophers put the finishing touches on a loaded 2018 recruiting class, which includes high school seniors Daniel Oturu, Jarvis Omersa and Kalschuer, along with transfers Marcus Carr and Payton Willis. Willis, a 6-4 guard with two years remaining after transferring from Vanderbilt, will sit out the 2018-19 season. Carr, a 6-2 guard and three-year transfer from Pittsburgh, will try to be cleared by the NCAA to play next season.